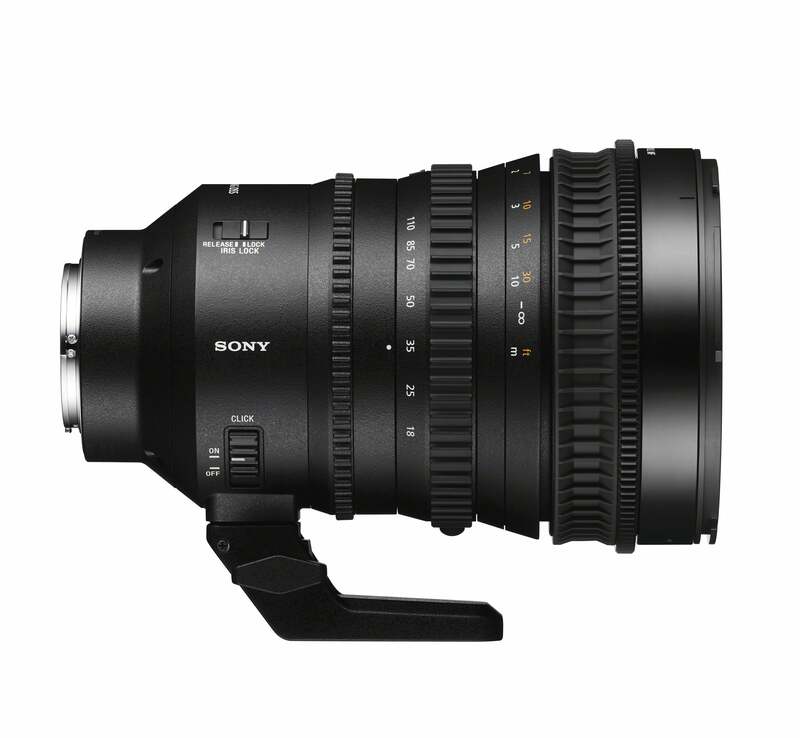 Offering moviemakers a powerful new creative tool, Sony has developed an advanced Super 35mm / APS-C format power zoom lens that starts at 18mm wide angle and extends to 110mm at the telephoto end (27mm – 165mm equiv. in 35mm format). The new lens has a 6.1x high zoom ratio, even with inner focus, and maintains a constant F4 maximum aperture throughout its zoom range for beautiful depth of field effects and stable exposure control. 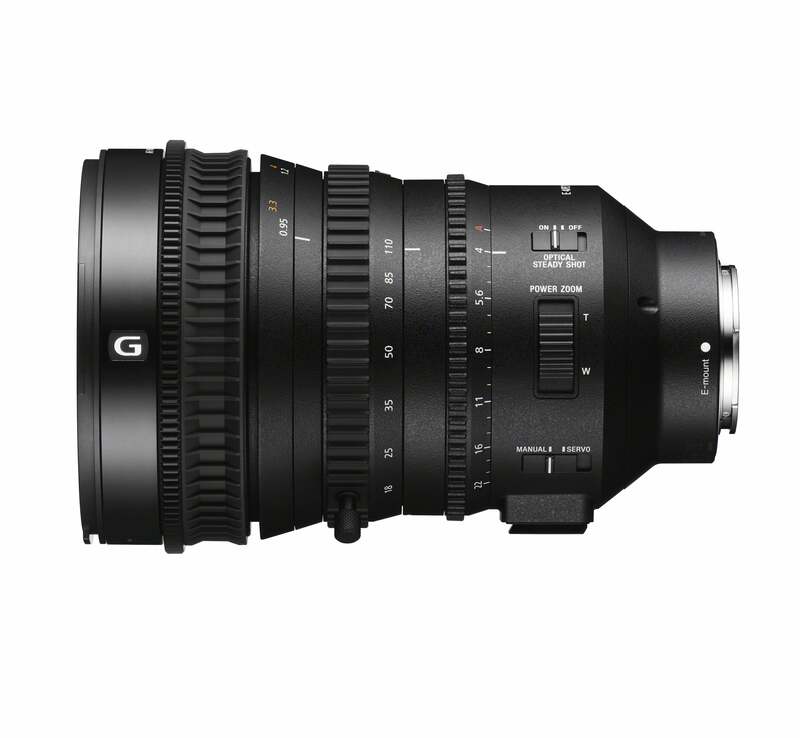 The E PZ 18-110mm F4 G OSS is only the second lens to benefit from Sony’s Smooth Motion Optics (SMO) design and construction, which has been developed to eliminate unwanted image shifts while making adjustments during movie shooting. SMO addresses three particular aspects of lens operation that can have a significant impact on movie quality: Focus Breathing, where shifts in angle of view during focusing are minimized by an internal focus mechanism; focus shift, where small shifts in focus that can occur during zooming are eliminated by precise focus tracking adjustment, and Axial shift, where axial image shifts during zooming are minimized by a constant length design. Optimum optical performance and operability is complimented by a dust and moisture-resistant design, making the lens ideal for location use. Extra versatility is afforded by Optical SteadyShot technology that provides in-lens image stabilization during handheld shooting. The lens also features a compact and lightweight design making it a truly mobile solution. Additional flexibility is afforded when used with the SEL14TC and SEL20TC teleconverters for 1.4x and 2.0x extension of focal range.